Ingenious has been at the forefront of investing in the UK’s creative economy for over 20 years, with filmed entertainment at its centre. During this time, Ingenious has identified, supported and developed numerous innovative UK businesses with high-growth potential. Among many others, films Ingenious has been involved with include Academy Award-winners Selma and Life of Pi, Academy Award-nominated films Brooklyn and Carol, blockbusters Avatar and Rise of the Planet of the Apes and breakout British hits Suffragette and The Best Exotic Marigold Hotel. Ingenious has one of the most experienced teams of independent professionals in the UK dedicated to the analysis and commercial negotiation of media and entertainment investment opportunities. Ingenious Media will shortly be launching a new suite of EIS funds to invest in early stage film, television and games production companies. The funds will provide growth capital to a carefully selected portfolio of businesses within each field, enabling them to grow and best utilise their expertise. Investment Director of Ingenious Media, Andrea Scarso, was a member of the 2017 Inside Pictures class. 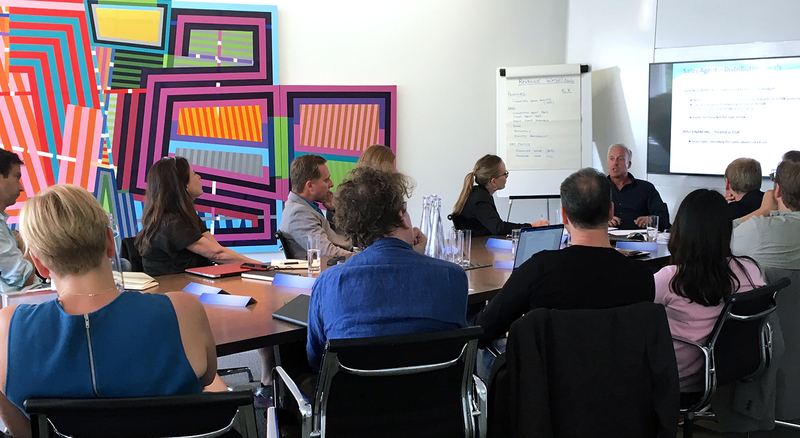 Through the programme, Andrea gained a better understanding of the global film business and the key players within it, along with a deeper insight into marketing strategy and audience analysis. Perhaps most importantly, Andrea expanded his network of key industry contacts across the globe.